Yesterday I received the most amazing mini quilt in the post. Late last year I signed up for a mini quilt swap and today I can write a mini quilt swap reveal post. I love sewing and patchwork and thought it would be a fun challenge to make something for someone else. The only requirement was that the quilt had to be a minimum of 15 inches on both sides, and maximum of 24 inches. We were paired up and sent links to inspiration boards to gather ideas. I chose a gorgeous patchwork heart which I loved making. 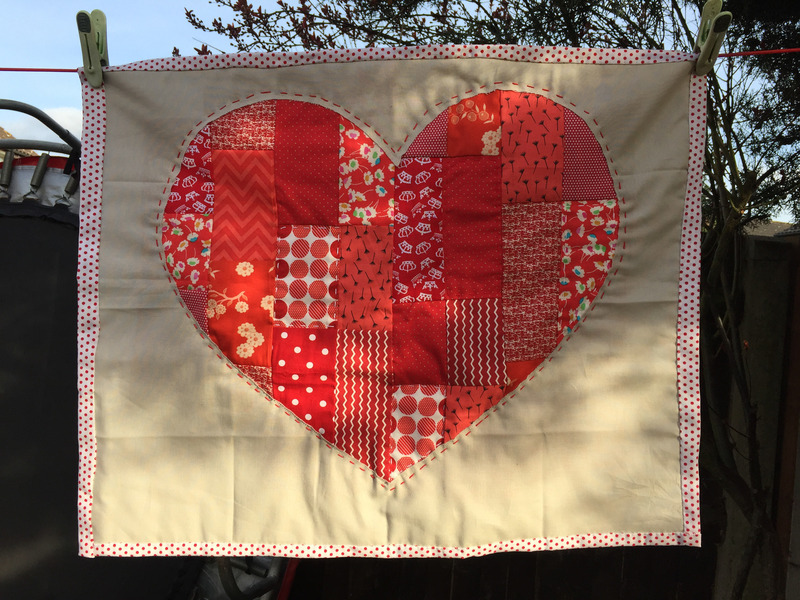 There were no instructions so I made my own version, making a sweet red patchwork heart from some of my favourite scraps. I hand quilted inside some of the patchwork pieces and hand tied some of the others. It was backed and bound with a cute spotty fabric from the fabric shop Elephant in my handbag. For the past week it has been hung up on my quilt gallery wall for everyone to enjoy. This was a secret swap, meaning we weren’t sending to the same person we received from. My mini quilt came from the person behind purple stitches, a fabric and haberdashery shop in Hampshire. I’m not sure how to describe it but it’s rather fabulous and features six fabric circles, some hexagons and other motifs. My partner used ‘street life’ by Jessica Hogarth for Dashwood Studio which has ticked all my boxes! 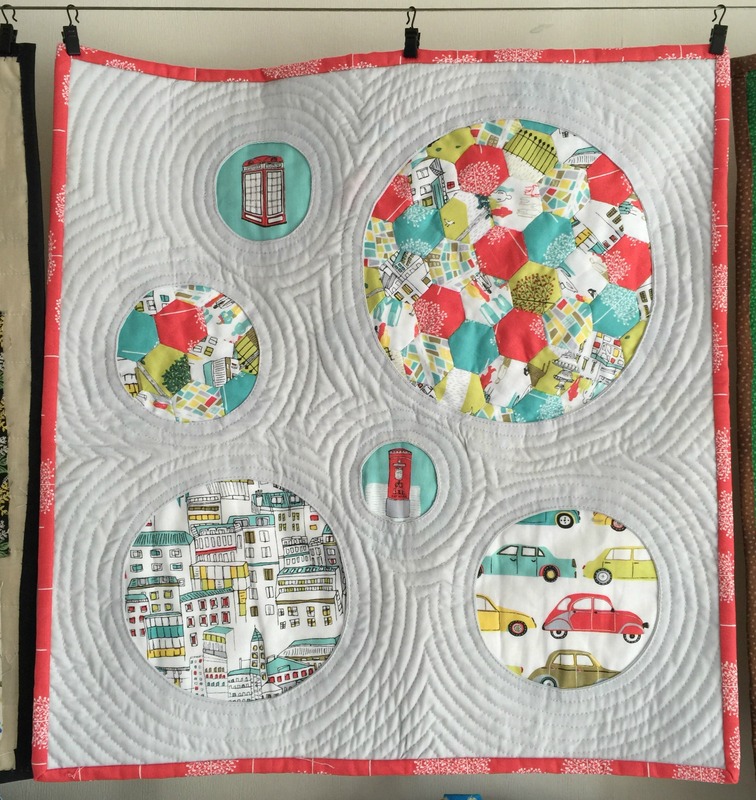 As well as an awesome quilt, she sent me some London themed fabric and Dresden plate templates which I can’t wait to use (but probably not together!). This week I’m finishing off a fabric ATC for another swap, which I’m sure I will show you soon. Thanks, it was a really fun swap to participate in!